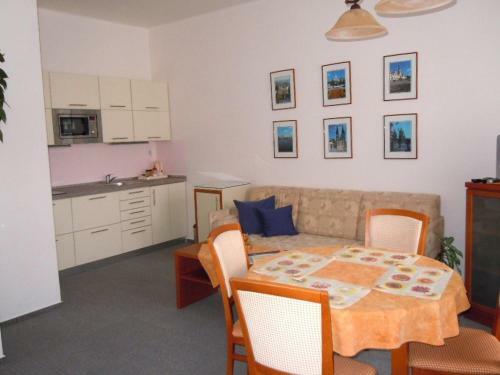 Holiday apartment 249915 This exquisite flat has everything you are looking for in the bestlocation in Prague. 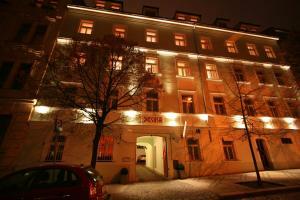 You are just steps away from Wenceslaus Square andsurrounded by some of the most beautiful buildings in the city. Holiday apartment 319360 Apartment in luxury building in the center of Prague in the Vinohrady district. Holiday apartment 309598 It is a 62 squaremeters two-rooms apartment on the 3th floor (lift), with antique, elegant furnishings.This accommodation in Prague captures the historical charm of Prague, while at the same time offering value for money. Holiday apartment 309612 The apartment is on the 1st floor in a residential building. The apartment has a good location and has good tram link you directly to the center. Holiday apartment 300125 After a successful 4 years renting we have just refurbished this apartment upgrading its style and comfort for a truly unique experience. A new colour scheme and additional antique furnishings combine romantic charm with sleek modern touches. Holiday apartment 249894 The apartment is located below the Vyšehrad castle in magical green environment just 10 minutes from the center of the city, connected by good night all the historical monuments. The holiday apartment is spacious and comfortable. Holiday apartment 309578 This large and charming one bedroom apartment is on the second floor and overlooks a lovely garden courtyard. Holiday apartment 309585 I''m renting 6 apartments in a residential building in center city, from 25m2 to 250m2. The space can be adapted according to your needs, from a simple room to the whole apartment, for 2 persons to a group of 28 persons. Holiday apartment 309533 This cozy, spacious, romantic 5th floor (with elevator) studio apartment is newly renovated in a turn-of-the-century building and has 3 windows overlooking a quiet, tree filled courtyard with a view to Namesti Miru church tower. Holiday apartment 249787 Well located apartment in a quiet, but vibrant and prestigeous part of central Prague. A great choice of restaurants, bars and shops in the vicinity. Wandering Praha B&B price per day from €49 The family-run Wandering Praha B&B is a 10-minute walk from Václavské Namesti and Prague’s Old Town, and it offers free WiFi and breakfast every morning. The spacious rooms and dormitories come with hardwood floors and a shared or private bathroom with shower. Some also have a TV and air conditioning. The Wandering Praha is in direct vicinity to numerous shops and restaurants, whilst Náměstí Míru Metro Station is 60 metres away. Miss Sophie's price per day from €28 Situated in the New Town, within walking distance of Prague's major sights, the Sophie's Hostel neighbourhood features a mix of traditional pubs and hip clubs. Sophie's Hostel offers modern design and personal service, a kitchen for the guests' use for those not staying in an apartment, and a 24-h reception. A daily breakfast is offered in a café bar. Wireless internet is available throughout the property free of charge. U Semika price per day from €26 The family-run, welcoming U Semika hotel is located right beneath the walls of one of the most important monuments of Czech history, the Vyšehrad castle. 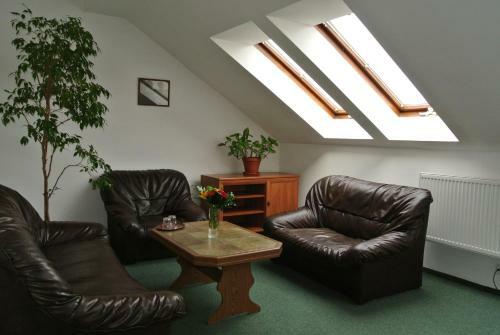 All the rooms are quiet and spacious, with modern conveniences such as WiFi access. The on-site hotel restaurant offers Czech and international cuisine. All the hotel guest have 20% discount in the hotel restaurant. The city centre is reachable within a few minutes, either on foot or by tram, but also the Vyšehrad castle complex is worth exploring. Apartments Vysehrad With Free Parking Situated on a quiet street below the Vysehrad fortress, this apartment complex is just 5 minutes by tram from the heart of Prague. It offers free Wi-fi and free parking on site. Fine Czech and international cuisine is served in the restaurant. There is also a park in the vicinity which offers wonderful views of the castle, the river and the city itself. Ibis Praha Wenceslas Square price per day from €51 Ibis Praha Wenceslas Square is conveniently located in the heart of Prague’s business area, approximately 5 minutes' walk from famous Wenceslas Square. 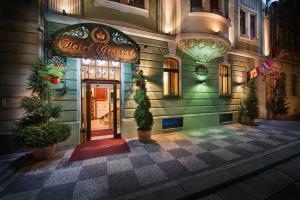 The Ibis Praha’s restaurant, L’Estaminet, serves traditional Czech specialities and international dishes. 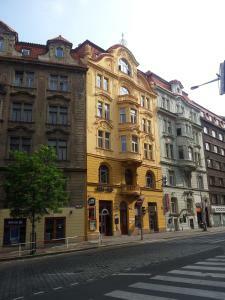 The Ibis Praha Wenceslas Square is only 5 minutes' walk from the State Opera, the I. The Jewish quarter and Old Town Square with the famous Astronomical Clock can be reached within a 15-minute tram ride.